Kangaroos Magnetic salt and pepper shakers. Height 3 1/2". 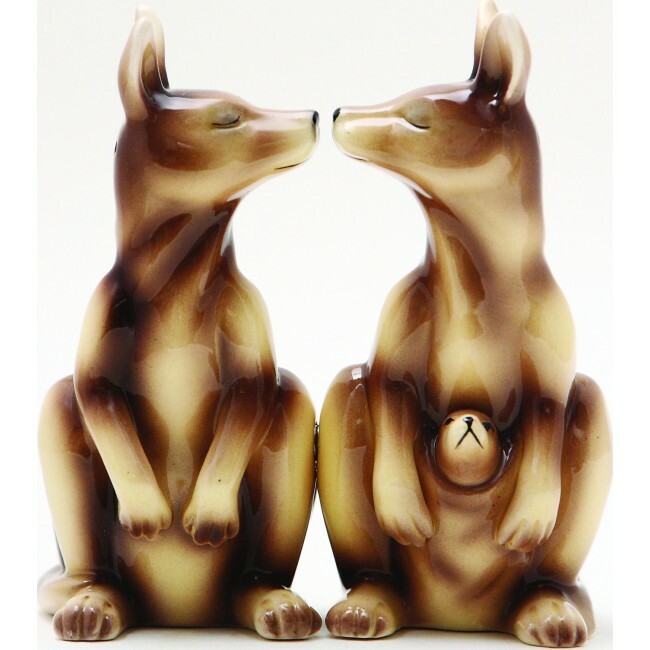 This Kangaroos Kissing 3.5" Ceramic Salt and Pepper Shaker Set is just a hop, skip, and a jump away from sitting on your kitchen table! Features a magnetic insert to hold the two shakers together.